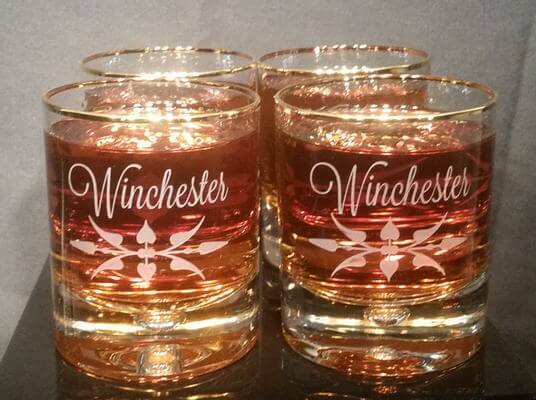 Adding text and/or a design to the back of this glass set is $24.00 each. Designs on the front of the glass are free. 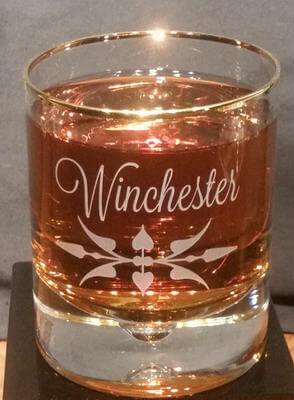 Add an additional $24.00 for a design and/or text on the back of the glass set. Clean handsome and classic with a golden touch - Lawrence Welk Would Be Really Happy With These Bubbles. These 12 Oz. Mouth Blown Rocks Glass Are A Sleek And Gorgeous Beauty That Holds Your Best Scotch, Bourbon, Whiskey or Water.